Today marks a whole year since we got engaged. Can you believe it?! It feels like it was just a couple of months ago that we were having the time of our lives in New York, but at the same time, it feels like we have been saving for the wedding for so long! You can read all about how we got engaged here - it really was the most thoughtful and personal proposal, in our very favourite place. Reading it back now just gave me that butterfly in the tummy feeling all over again - you can say whatever you like about sharing your life online, but it's so lovely to be able to go back and relive moments like that one. 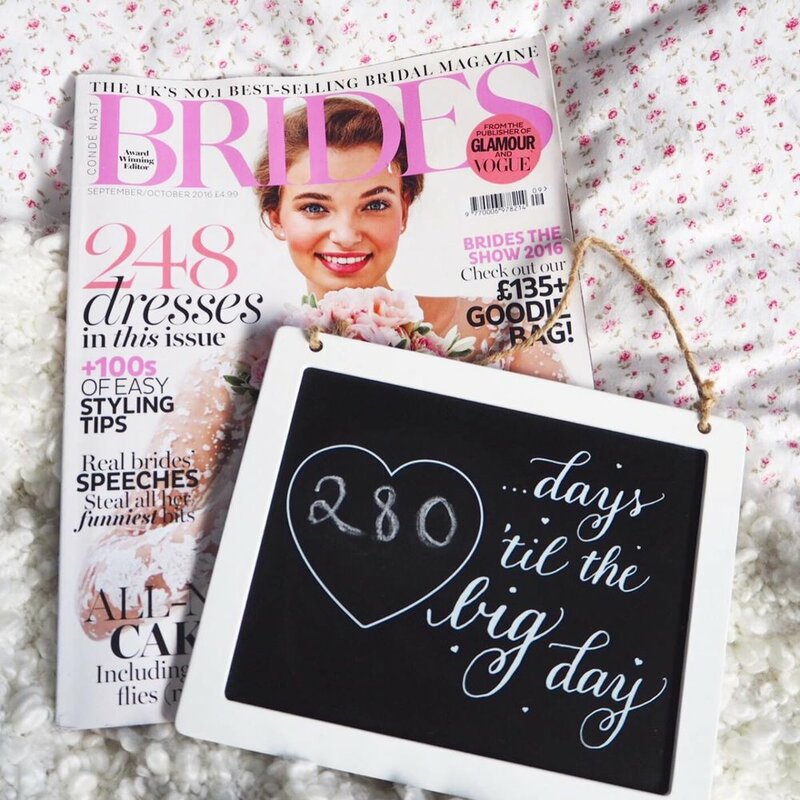 And now we only have 280 days left until I become Mrs Airey which feels kind of insane. If you've been reading my Wedding Talk posts then you'll know we are doing pretty well with the planning - we have the venue, the food, a florist and a photographer, and I have a dress! Knowing how fast the past year has gone, I really want to savour the next 9 months of being the bride to be. I know I won't ever get to do this again so I'm making the most of it! I want to use this is an excuse to spend as much time as possible with the people I love most. We have a bridesmaids evening planned in and my hen do is booked (huge shoutout to my little sis who is planning this - I have no idea where we're going or what we're doing!) - both of which I can't wait for. Plus, we need to make a couple of trips to Anglesey to visit the venue again and flesh everything out with the wedding planner - we're hoping that both of our families will be able to join us so that we can all spend some time together getting excited and adding some personal touches to our big day. I'm not gonna lie - being engaged has been a lot of fun, and I know that the run up to the wedding will be even more so. But the best bit of course, will be walking down the aisle and marrying my best friend in the world in front of all the people we love the most. Cheesy, but true. Bring it on.